The meaning of the term "voir dire" translated literally, means "See say,” but figuratively means “to speak the truth." In common practice, "voir dire" describes the process of questioning potential jurors, by judge or litigator, in advance of a jury trial to uncover conflicts, biases or other reasons to dismiss the potential juror. The stated goal of voir dire is to impanel an impartial jury. However, in the majority of courts that allow voir dire questions by counsel, the goal of each side of the case is to get the best jury for their client possible through a process of revealing and eliminating those who are most adverse. Through a combination of dismissals for cause and peremptory challenges, potential jurors are removed from the pool of jurors. As an example of the traditional process, see this description of the voir dire process written for those called for jury duty in the Southern District of New York. In cases where the sides agree and the judge permits, jury selection often begins with a series of written questions agreed to by all parties. Ideally, mock jury pre-trial research is conducted to identify the most important and revealing questions to include based on the types of jurors who tend to look most unfavorably on the client's case. In court, once prospective jurors’ information and responses are received, there is often very limited time in which to conduct additional fact-finding research and evaluate the responses. Many litigators mistakenly believe that voir dire is conducted only by judges in federal court. This is simply not true. I have conducted mock trials focused on voir dire and voir dire consulting in a majority of states in the U.S. On many occasions, this was done in preparation for a federal trial. This recent ABA article does a good job of describing the state of voir dire in the federal courts. Even in those courts where the judge or the clerk conducts the voir dire, many accept proposed questions from counsel. The key is to know which, few questions are most productive. Since the voir dire process can help determine the outcome of a case, it is essential to use it to your advantage. With the foregoing in mind, here are five questions I would always suggest asking in voir dire, whether in state court, in federal court, on a jury questionnaire, or among the questions presented to your judge to ask. If you were my client, would you be completely comfortable having you as a juror on this case? Can you think of anything in your own life that reminds you of this case? What and how? Is there anything that you have seen or heard that would make it hard for you to guarantee to judge my client the same as the other side? Is there anything you’d prefer to discuss in private? Is there anything we haven’t asked you that you think we should know? Each of these questions is designed in one way or another to uncover biases that might hurt your client. Each is designed to provoke deeper thinking and candid responses, rather than meaningless knee-jerk ones which are politically correct, but not helpful in decision making during jury selection. Each is open ended and designed to avoid a simple yes or no answer. 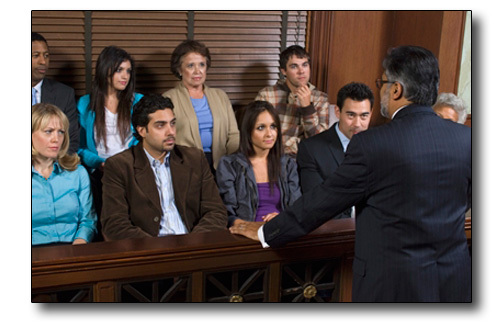 5 things every jury needs from you!